Best Quality. Best Price. Call Today! We have been installing new roofs and remodeling residential and commercial property in the Kansas City area for over 25 years.This experience allows us to confidently claim that your are in good hands when you choose us for your new roof or remodeling. Rest assured no roof or remodeling job is too big or too small for our roofing and remodeling specialists. Whether you need a whole new roof installed or want to update your home with beautiful, custom bathrooms and kitchens, we can help. We offer comprehensive services and our entire team is dedicated to ensuring customer satisfaction on each and every job we undertake. Whether you need a quick roof repair or a completely new roof you can count on our experienced staff to get the job done right. 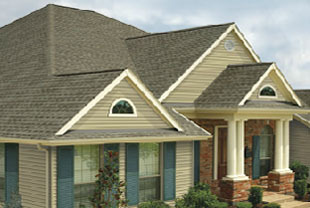 We use only the highest quality materials for a roof that will hold up in the elements. A new roof built by us will stand the test of time and our qualified technicians will give your home the new roof that it deserves. Your roof guttering is critical to your home. Quality guttering will protect your home’s foundation from dangerous water erosion and ensure your garden landscape benefits from proper drainage. We offer guttering services for single family homes, townhomes, apartment buildings and office buildings. 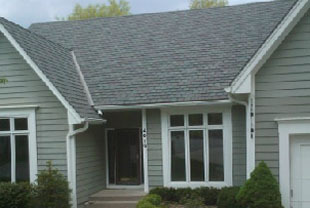 At BC Roofing & Remodeling, we understand how much you value the exterior appearance of your home. Beautiful home siding and windows are two of the most important elements that work to dramatically increase your home’s curb appeal. However, accidents happen from time to time that can damage your home’s exterior appearance. We offer professional siding and window installation and repair. When you have a remodeling project we have the team to complete almost any project. We have installed kitchens, bathrooms, roofs, siding, decks/patios, windows, and much more. We also provide in-house design services for kitchens, bathrooms and room addition. We believe that home projects should be satisfying and enjoyable for our clients which is why we are committed to providing you with quality service. Our company works with all types of budget to maximize your investment. With flexible payment plans and timely project completion, we are ready to assist you with all of your property needs. If you need a new roof, gutters or remodeling for your home, contact us today at (816) 529-4571 or (913) 383-6343 and work with a company you can trust. Bryon Coatney grew up in Independence, Missouri graduating from Ft. Osage High School. He started working part-time at a roofing company out of high school and started his own roofing company in 1987 as things started to progress. Bryon has 4 children and 5 grandchildren. He enjoys mixed martial arts and takes pleasure in watching his son Eric “The Machine” Marriott fight as he is an up and coming MMA fighter. Bryon also plays lead guitar in his rock band Unwritten Rulz. His band won the 2010 Cover Wars at the Voodoo Lounge. When he has any extra free time Bryon also enjoys restoring antique cars, preferably his 1929 Model A Sport Coupe and gardening because he is a country boy at heart. 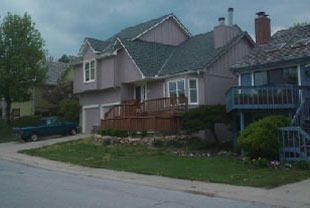 BC Roofing and Remodeling services Lee’s Summit MO and the Kansas City metro area. We provide “green” alternatives to conventional products, allowing us to stay environmentally conscientious. Our remodeling and roofing company prides itself on providing the most affordable, highest quality roofing and remodeling services available. BC Roofing believes strongly that you should always “mean what you say” and “say what you mean”. Our roofing company provides fair, accurate bids and always strives to exceed your expectations. This philosophy succeeds because our team has bought into it. We want to be a roofing company that you can refer to your friends, family, and neighbors. That is only possible if we stick to our guns, and deliver on the promises we make. We know that if you work with us, you will see that these aren’t just words, it is a philosophy that is adhered to. For an affordable remodeling or roofing company in Lee’s Summit & Kansas City, give us a call today at (816) 529-4571 or (913) 383-6343.